The La Salle Explorers men's basketball program represents La Salle University in college basketball. The 2006–07 NBA season was the 61st season of the National Basketball Association. The San Antonio Spurs were crowned the champions after sweeping the Cleveland Cavaliers in the NBA Finals. In August 2011 he signed a one-year contract with CB Gran Canaria. However, he never made an appearance for them on the court. Quentin L. Richardson is an American retired professional basketball player, formerly was the director of player development for the Detroit Pistons of the National Basketball Association (NBA). Richardson played professionally for 13 seasons for the Los Angeles Clippers, Phoenix Suns, New York Knicks, Miami Heat and Orlando Magic. He won the NBA Three-Point Shootout in 2005. Beno Udrih is a Slovenian professional basketball player who last played for Žalgiris Kaunas of the Lietuvos krepšinio lyga (LKL). He previously played in the NBA for the San Antonio Spurs, Sacramento Kings, Milwaukee Bucks, Orlando Magic, New York Knicks, Memphis Grizzlies, Miami Heat and Detroit Pistons. John Harding Lucas III is an American retired professional basketball player who currently serves as a player development coach for the Minnesota Timberwolves of the National Basketball Association. He played college basketball for Baylor and Oklahoma State. Aaron Jamal Crawford is an American professional basketball player for the Phoenix Suns of the National Basketball Association (NBA). Crawford played his high school basketball for Rainier Beach High School, a basketball powerhouse in Seattle, before committing to play for the University of Michigan. Crawford was selected by the Cleveland Cavaliers but was traded on draft day to the Chicago Bulls. In his career, he has also played for the New York Knicks, Golden State Warriors, Atlanta Hawks, Portland Trail Blazers, Los Angeles Clippers and Minnesota Timberwolves. He won the NBA Sixth Man of the Year Award in 2010, 2014 and 2016, becoming the first three-time winner of the award in NBA history. He currently holds the record for most career four-point plays made with 54. Hidayet "Hedo" Türkoğlu is a Turkish former professional basketball player and current president of the Turkish Basketball Federation. He has played 15 seasons in the National Basketball Association (NBA). The 6'10" forward played for six teams throughout his NBA career. Darrick David Martin is an American basketball coach, most recently head coach for the Reno Bighorns of the NBA G League. He played basketball for more than a decade, shuttling between the Continental Basketball Association (CBA), where he won the 2003 CBA Playoffs MVP, and the NBA. In 2003, he even played for the Harlem Globetrotters. He then went on to play for the Los Angeles Lightning of the Independent Basketball Association (IBL). He was named the head coach of Reno in June 2016. Corey Wayne Brewer is an American professional basketball player for the Sacramento Kings of the National Basketball Association (NBA). He played college basketball for the Florida Gators, winning back-to-back NCAA national championships in 2006 and 2007. He was named Most Outstanding Player of the 2007 NCAA tournament. Cole David Aldrich is an American professional basketball for the Tianjin Golden Lions of the Chinese Basketball Association (CBA). He previously played for the Oklahoma City Thunder, Houston Rockets, Sacramento Kings, New York Knicks, Los Angeles Clippers and Minnesota Timberwolves. He played three seasons of college basketball for the University of Kansas before being drafted by the New Orleans Hornets with the 11th overall pick in the 2010 NBA draft. Austin Darren Daye is an American professional basketball player for Umana Reyer Venezia of the Italian Lega Basket Serie A (LBA). The 6'11" forward played college basketball for Gonzaga before being drafted 15th overall by the Detroit Pistons in the 2009 NBA draft. 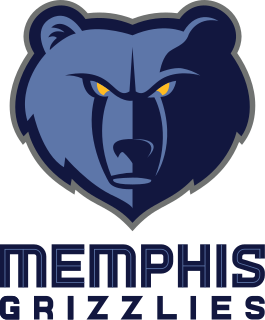 He has previously played for the Pistons, Memphis Grizzlies, Toronto Raptors, San Antonio Spurs and Atlanta Hawks, while also spending time in Russia, Italy and the NBA Development League. Jeffrey Curtis Ayres, formerly known as Jeff Pendergraph, is an American professional basketball player for Ryukyu Golden Kings of the B.League. He attended Etiwanda High School in Rancho Cucamonga, California and played college basketball for Arizona State University. Hassan Niam Whiteside is an American professional basketball player for the Miami Heat of the National Basketball Association (NBA). He played college basketball for the Marshall Thundering Herd before being drafted in the second round by the Sacramento Kings in the 2010 NBA draft. After joining Miami in 2014, Whiteside was named to the NBA All-Defensive Second Team in 2016, when he also led the NBA in blocks. He led the league in rebounding in 2017. Gregory Stiemsma is an American former professional basketball player who spent four seasons in the National Basketball Association. He played high school basketball for Randolph High School and college basketball for the University of Wisconsin–Madison, before going undrafted in the 2008 NBA draft. A 6'11" center, Stiemsma was known for his defense and shot blocking ability during his playing days. JaMychal Green is an American professional basketball player for the Los Angeles Clippers of the National Basketball Association (NBA). He played college basketball for Alabama. Anthony Harris Bennett is a Canadian professional basketball player for the Agua Caliente Clippers of the NBA G League. He played college basketball for the University of Nevada, Las Vegas (UNLV). He was the first overall pick in the 2013 NBA draft by the Cleveland Cavaliers, becoming the first Canadian to be drafted number one overall. Bennett is also a member of the Canadian national team. Gregory Stephen Smith is an American professional basketball player who last played for Osaka Evessa of the Japanese B.League. He played college basketball for Fresno State. Justin Anthony Hamilton is a Croatian-American professional basketball player for the Beijing Ducks of the Chinese Basketball Association. He plays the center position. Karl-Anthony Towns Jr. is a Dominican-American professional basketball player for the Minnesota Timberwolves of the National Basketball Association (NBA). He played college basketball for the Kentucky Wildcats. Towns was named to the Dominican Republic national team as a 16-year-old. He was selected with the first overall pick in the 2015 NBA draft by the Minnesota Timberwolves, and went on to be named NBA Rookie of the Year for the 2015–16 season. He has received two All-Star selections. Lorenzo Brown is an American professional basketball player who currently plays for Guangzhou Long-Lions of the Chinese Basketball Association (CBA). He played college basketball for the NC State Wolfpack. 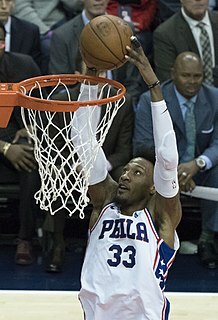 Robert Covington is an American professional basketball player for the Minnesota Timberwolves of the National Basketball Association (NBA). The small forward played college basketball for the Tennessee State Tigers. In 2018, he was named to the NBA All-Defensive First Team. ↑ Neubeck, Kyle. "Former La Salle star Rasual Butler dead at 38 following car crash". Philly Voice. Retrieved February 1, 2018. ↑ "2002 NBA Draft". NBADraft.net. Retrieved March 12, 2016. ↑ Reynolds, Tim (August 2, 2005). "Walker to Heat in five-team, 13-player megadeal". USA Today . Retrieved May 22, 2014. ↑ "Rasual Butler 2003-04 Game Log". Basketball-Reference.com. Retrieved March 12, 2016. ↑ "Rasual Butler 2006-07 Game Log". Basketball-Reference.com. Retrieved March 12, 2016. ↑ "Rasual Butler 2007-08 Game Log". Basketball-Reference.com. Retrieved March 12, 2016. 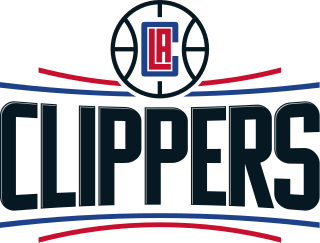 ↑ "Clippers Acquire Rasual Butler From New Orleans". NBA.com. August 12, 2009. Retrieved August 12, 2009. ↑ "CLIPPERS WAIVE BUTLER". NBA.com. February 28, 2011. Retrieved February 28, 2011. ↑ "BULLS SIGN FREE AGENT RASUAL BUTLER". NBA.com. March 3, 2011. Retrieved March 3, 2011. ↑ "CB Gran Canaria lands former Bulls Rasual Butler". Sportando.com. August 22, 2011. Retrieved August 22, 2011. ↑ "Raptors Sign Free Agent Forward Rasual Butler". NBA.com . December 10, 2011. Retrieved December 11, 2011. ↑ "Raptors waive Rasual Butler". ESPN.com. March 23, 2013. Retrieved March 23, 2013. ↑ "Tulsa Acquires Guard Rasual Butler". OurSportsCentral.com. January 18, 2013. Retrieved January 18, 2013. ↑ "Tulsa's Rasual Butler Earns 2013 NBA Development League Impact Player of the Year Award". NBA.com. April 19, 2013. Archived from the original on May 13, 2013. Retrieved April 19, 2013. ↑ Scott Agness [@ScottAgness] (September 27, 2013). "Pacers have officially signed @RasualButler45 and Hilton Armstrong. They'll have 17 in camp. Full roster:" (Tweet) – via Twitter. ↑ "Pacers sign Hilton Armstrong". Sportando.com. September 27, 2013. Retrieved September 27, 2013. ↑ "Rasual Butler 2013-14 Game Log". Basketball-Reference.com. Retrieved March 12, 2016. ↑ "Wizards Sign Six for Training Camp". NBA.com. September 29, 2014. Retrieved September 29, 2014. ↑ "Rasual Butler's stunning resurgence leads to guaranteed contract". WashingtonPost.com. January 9, 2015. Retrieved January 9, 2015. ↑ "SPURS ANNOUNCE 2015-16 TRAINING CAMP ROSTER". NBA.com. September 28, 2015. Retrieved September 28, 2015. ↑ "SPURS WAIVE RASUAL BUTLER". NBA.com. March 9, 2016. Retrieved March 9, 2016. ↑ "TIMBERWOLVES ANNOUNCE 2016-17 TRAINING CAMP ROSTER". NBA.com. September 26, 2016. Retrieved September 26, 2016. ↑ "TIMBERWOLVES WAIVE BUTLER, MURRY". NBA.com. October 22, 2016. Retrieved October 22, 2016. ↑ "TRADE ALERT: Power acquires Rasual Butler From Ball Hogs". Big3.com. July 25, 2017. Retrieved April 14, 2018. ↑ Whitaker, Land (April 17, 2006). "NBA Antics". Sports Illustrated . Archived from the original on October 24, 2012. Retrieved April 17, 2006. ↑ "'Khloe & Lamar' Star Rasual Butler & Wife Leah LaBelle Killed In Car Crash". OK! Magazine. Retrieved February 1, 2018. ↑ Bloom, Tracy (January 31, 2018). "Ex-L.A. Clippers Player Rasual Butler, Wife Killed in Violent, High-Speed Crash in Studio City". KTLA . Retrieved January 31, 2018. ↑ "Rasual Butler, Leah LaBelle Had Meth, Alcohol in Systems at Time of Death" . Retrieved June 1, 2018. ↑ "Rasual Butler Stats". Basketball Reference. Retrieved February 1, 2018.